The Town of Rowlesburg and the Rowlesburg Revitalization Committee have dedicated Saturday, 24 June 2017 as a special day to recognize and honor soldiers and veterans of all US Wars and Conflicts. “On this Commemoration Day we honor all U.S. Military and Veterans who fought in all wars and conflicts,” Maggie DeWeirdt said. 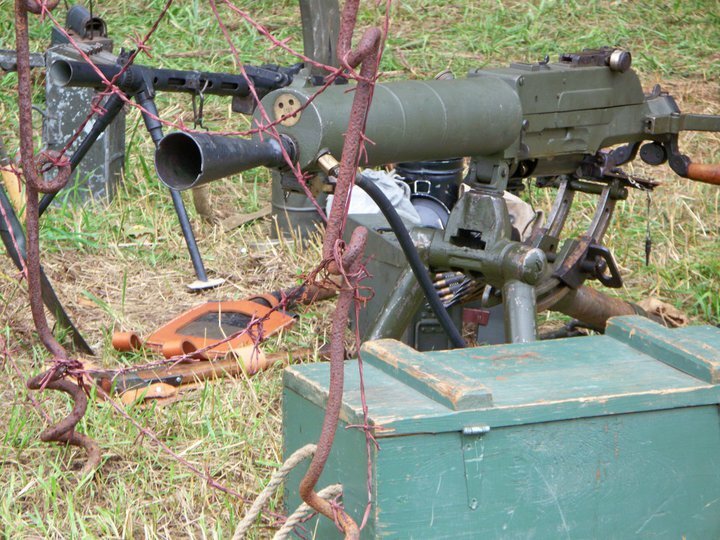 “This event has generally been the World War II Living History day since 2006. It was renamed last year to include Korean veterans, Vietnam veterans and soldiers who fought or are still fighting wars in Iraq, Afghanistan, and all other parts in the world. The West Virginia Mobile Vietnam Wall will be displayed in Rowlesburg for this event. The WV State Council created the mobile wall which has the names of West Virginians who were killed in action, held as a prisoner of war and are still missing in action. The list includes over 732 names of those who gave their lives in the Vietnam War for their country and the State of West Virginia. The wall will be available for public viewing at the Rowlesburg Community Park from 10:00 a.m. on Saturday until noon on Sunday. The wall will be illuminated at night. The West Virginia Patriot Guard Riders are scheduled to form a flag line for the wreath laying ceremony at 1:00 p.m. Presentation of the colors, the 21 Gun Salute and taps will be executed by the Veterans of Foreign War Post 597. Plans are being made to have cross generation veterans participate in the presentation at 2:30 p.m. at the Szilagyi Center auditorium following the wreath laying ceremony. They will tell a short humorous, crazy or heartwarming story from their enlisted time. Vietnam veteran Robert “Bob” Dunbar is scheduled to be the special guest for the day. Bob is a Rowlesburg native who served two tours of duty and was the pilot of a Huey Helicopter. He is an unsung hero who, against all odds, went on back to back missions to rescue soldiers. He was wounded three times and shot down twice. After returning to civilian life he joined the Los Angeles Fire Department where he retired in 1998 as a fire and rescue pilot with just over 20,000 flying hours. He dropped water over many wildfires to save forests and airlifted several people to safety. He flew in Alaska, British Columbia, the Yukon Territory (where he was a game warden), New Zealand, all the Rocky Mountain States and California. As the grand finale of the day, at 8:00 p.m. in the Szilagyi Center auditorium, Bobby Menear’s Maestros of Swing (a big band) will perform for the 12th year on this special day. Tickets are $30 per person and include first rate heavy hors d’oevres, beer, wine and soda. Guests will be able to mingle, dance and enjoy the music until midnight. Anyone wishing to purchase tickets for the dance can order them by calling 304-329-1240 or at 304-454-2009(leave message). 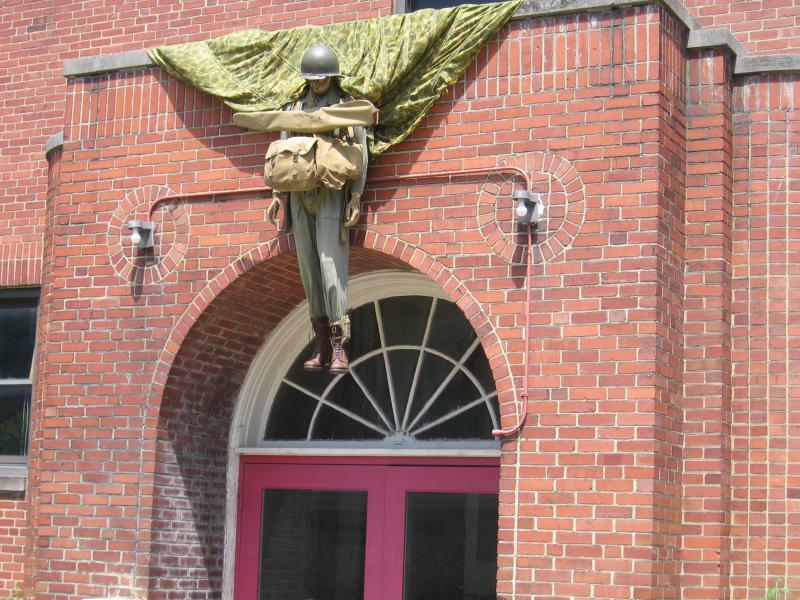 The World War II museum and the other museums will be open throughout the day. For more information on the event, email rowlesburginfo@yahoo.com or visit the website at www.rowlesburg.info (downloadable brochure). Jef Verswyvel and Maggie Deweirdt of Rowlesburg started this event nine years ago. They came to Rowlesburg by way of Belgium. 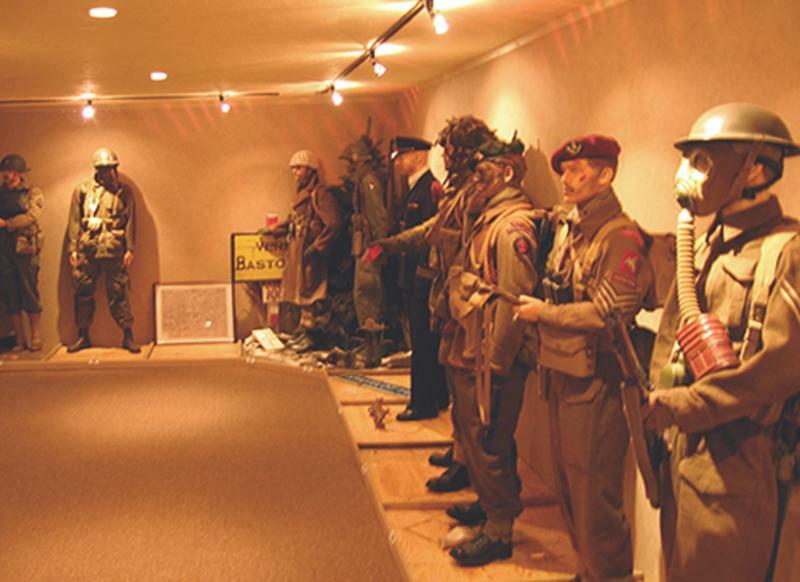 Jef and Maggie began all of this by establishing a fabulous gallery of WWII memorabilia.﻿﻿ The gallery includes dozens of mannequins dressed from head to toe with authentic period uniforms from WWII. Below, a famous scene reenacted. This the American paratrooper who was caught on the church steeple at Sainte-Mère-Église﻿ during the Invasion of Normandy. And, no, this is not a living reenactment. It's one of Jef Versyvel's fabulous creations. The Gallery has been expanded to include a special section on women in uniform. Here is a small sampling of the Women in Uniform Gallery. Each uniform is authentic down to buttons, ties, gloves, skirts, caps and hats, shoes and hose. ON SATURDAY night from 8 pm to midnight, dance the night away with Bobby Menear’s “Maestros of Swing.” The Pittsburgh Big Band will perform at the Szilagyi Center Auditorium (Old Rowlesburg School) on June 28th. Bobby Menear loves the Big Band sound of pioneer Glenn Miller. Hors d'oeuvres and drinks (soft drinks, water, wine and beer) are included and served in a 1940s atmosphere. Dressy or Period attire please.Dance the night away to the rich sounds of Miller classics such as "In the Mood," "Moonlight Serenade," "Tuxedo Junction," and "Little Brown Jug." Order tickets early as this event usually sells out. Admission: $25.00 per person. There will be plenty of action and firing of weapons. Battle reenactments will be held on the field Saturday afternoon. 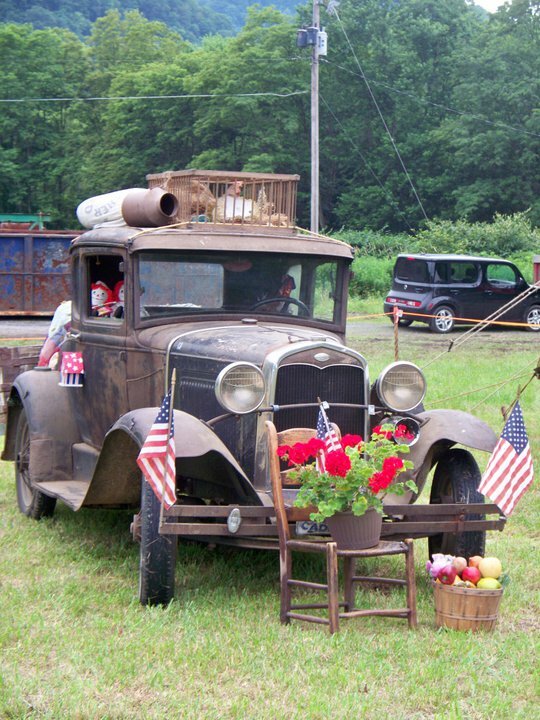 Vintage WWII motorcycles will be on display along with other equipment, vehicles, weapons and artifacts. 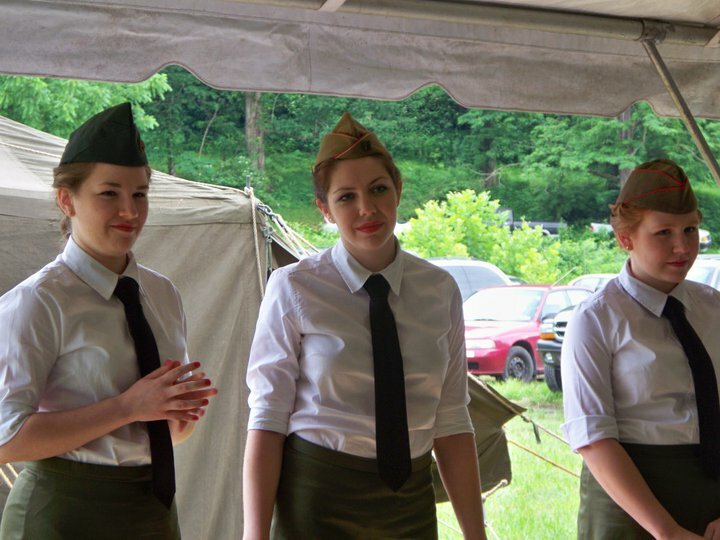 Everyone is invited to the field adjacent to the Rowlesburg Park to visit with WWII veterans and re-enactors throughout the day on Saturday, and part of Sunday. MEET OUR WWII VETERANS at 12:30 pm on Saturday. This is a great opportunity to talk to the men and women who lived through it all. All WWII veterans are invited to join this event and gather in the white tent for refreshments while they talk to visitors or just reminisce about their experiences with other veterans. This year a special feature will be the visit by First Lady, Eleanor Roosevelt at 1:00 pm on Saturday (White Tent). An appearance by special guest, Hershel “Woody” Williams, WV Medial of Honor recipient, is also expected this year. Check with sponsors for updates. WREATH LAYING CEREMONY on Saturday at 2:30 with a 21 gun salute and taps at the Rowlesburg Honor Roll by VFW Post 578.